The city of Hartford faces a full-blown budget crisis. That's the word from Mayor Luke Bronin at a public meeting Tuesday night. Bronin announced the city faces a $32 million deficit for the coming 2016-17 fiscal year. "Hartford has a massive structural deficit. We've had one for years. It's been hidden with one-time revenues like selling parking garages and raiding long-time reserves," said Bronin. The purpose of the "2016 People's Budget" meeting at the public library was to inform residents about the growing problem and to receive input from citizens on how to slice the debt at a future meeting set for Saturday, March 5th at 9am at the Hartford Public Library. The mayor encourages residents to attend. Bronin told the audience that the city is already in financial trouble this fiscal year. "This year we've got a gap of $9 million. I mean this current year ending in June. That means the budget passed last year wasn't really balanced. It might have looked balanced, but it wasn't really balanced," said Bronin. The mayor already sent out a letter to department leaders to cut back on expenses and issued a hiring freeze for non-essential personnel. Unless significant and permanent cuts are made, the $32 million dollar hole the city tries to climb out of for the 2016-17 fiscal year only grows with time. Officials say the year after that, the deficit is projected to hit $48 million. It jumps to $63 million the following year and then $67 million. 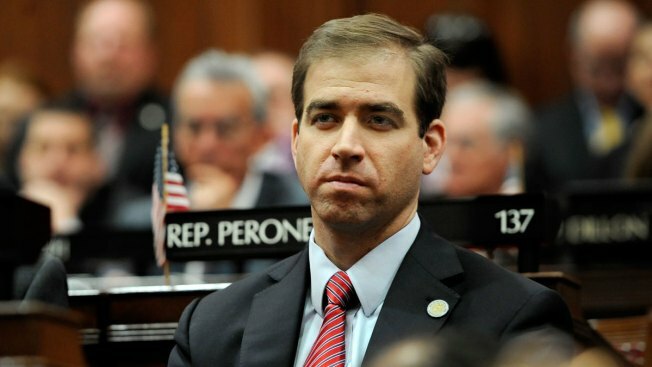 "The decisions we make in this year's budget together are going to determine whether Hartford is a healthy growing city or whether we accept a future of decline, and I refuse to accept a future of decline," said Bronin. For now, everything remains on the table. Restructuring government is a high priority and labor will be asked to make concessions. Bronin points out that the key for the city is growth, and with Hartford already home to the highest mill rate in the state, raising taxes is not a future-friendly proposition. "For our small businesses especially. They're paying twice or more than twice what they could pay in any surrounding town," said Bronin. Many residents may place the city's financial troubles on a new baseball stadium the city is building. Just last night, the city council signed off on a deal that kicks an extra $5.5 million to finish the Yard Goats stadium. The mayor says while the costs there haven't helped, it's certainly not the main cause of the problem.